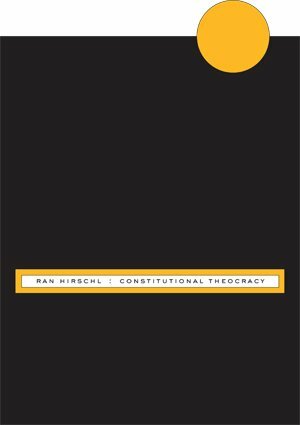 The book explores the world of constitutional theocracies through six different lenses. First, I define constitutional theocracy and describe its basic tenets, functioning, and intrinsic existential tensions. These embedded disharmonies pose serious challenges to modern constitutional courts operating in such settings. Second, I place the rise of constitutional theocracy in the context of other models—from the distant past to the present day; Christian, Muslim, Hindu, and Jewish; and from east, west, north, and south—for arranging religion and state relations. I point to some serious shortcomings of canonical constitutional theory in accounting for the jurisprudential and socio-political realities of the secular/theocratic rift in a non-liberal context. Third, I explore the secularist appeal of constitutional law and courts. 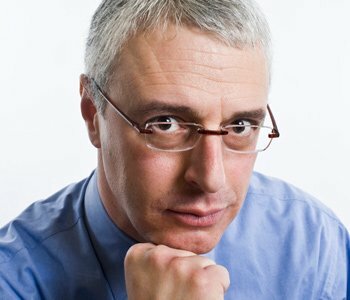 I identify six broad rationales—from the most abstract epistemological platform to the most concrete political level—that make these institutions attractive to secularist, modernist, cosmopolitan, and other antireligious social forces in polities that face deep divisions along secular/religious lines. Drawing on all these rationales, the state—even in the most theocratic settings let alone in more lax ones—invests tremendous energy to bring religion under constitutional check. Fourth, I examine in considerable detail how constitutional courts in seven countries—and each court within the different constitutional framework and political context in which it operates—advance secular or secularizing solutions to problems of state and religion. The seven countries are Egypt, Kuwait, Pakistan, Malaysia, Nigeria, Israel, and Turkey. In all of them popular support for political religion is widespread, and courts these have developed extraordinary interpretive ingenuity—of richness that makes the vibrant interpretive debates in the United States look rather meager. To press forward with their religion-taming agenda, courts in these countries have been engaged in zealous jurisdictional wars unseen in any liberal constitutional setting. I also show how and why, under certain politically charged circumstances, constitutional courts in these and similarly situated polities may side with religion law and authorities against their own secularist, religion-subjugating tilt. Fifth, I show how constitutional law and courts in several non-theocratic settings—from the battle over religious attire in Europe to the struggle over reproductive freedoms in Colombia and Mexico, the status of customary law in South Africa, and the erection of boundaries to multicultural accommodation in Canada—essentially display the same secularist sentiment as their counterparts in predominantly religious settings. Courts in these polities—each operating in a different political context and preoccupied with a distinct state and religion challenge of their own—have nonetheless positioned themselves at the secularist end of the acceptable continuum in each of their respective polities. Even some of the most accommodating polities—think of South Africa’s “rainbow nation” or Canada’s “mosaic” conception of citizenship—are open to diversity-as-inclusion claims but resist nonstate-law-as-competition claims that seek to establish “islands of jurisdictions” lying outside the governance of the state and its official agents. Constitutional courts worldwide share a secularist tilt relative to the context within which they operate. Sixth, I point to a conceptual affinity, indeed a near-equivalence, among the sociology and cosmology of interpretive debates in the constitutional and religious domains, the tension between interpretation and amendment in constitutional and sacred texts, the striking parallels between “originalist” and “purposive” interpretive approaches in constitutional and sacred law, and the political economy of intra-religious and secular/religious rifts. This suggests that although constitutional law and religion law seem fundamentally different from each other, they ultimately have much more in common than meets the eye.